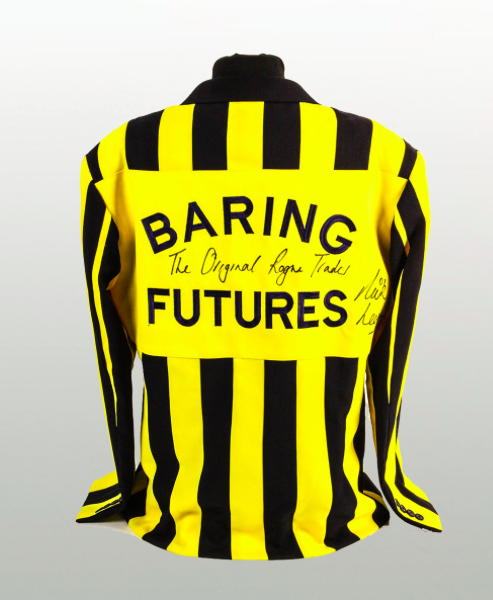 A tale of lies, deceit and losing $1.3 billion: Nick Leeson, the infamous trader who forced 233 year old Barings bank to close, will this time be swapping the trading floor for the saleroom floor as a signed replica of his trading jacket comes to auction. On 3rd July, John Pye Auctions, Marchington, will feature the jacket in their memorabilia auction. Lesson's story begins in the 1980s, when he started his career as a clerk for Coutts. His skills in the world of banking were soon recognised, and after several banking roles, he joined Barings bank. Leeson's talent stood out and he was promoted to the trading floor. Nick's career accelerated as he was promoted to damages the futures market on the Singapore Monetary Exchange (SIMEX.) He made millions for Barings, betting on the future directions of the Nikkei Index, and the bank was more than pleased with his efforts and, more importantly, his returns. However, Nick was concealing a great secret. He was hiding his losses in a hidden account. In order to try to extricate himself from the mess he had made, he asked Barings for extra funding, which they believed was going to be used for more trading, which in turn meant more profits. Instead, Leeson was trying to recover the money made from his hidden losses by making more deals. A ploy which failed. 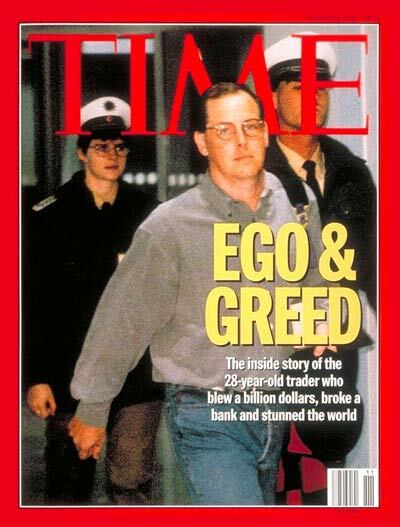 When Leeson was eventually found out, it came to light that he had cost Barings bank $1.3 billion. The 233 year old bank, which counted the Queen as a client, was forced to declare itself bankrupt to the Bank of England, and subsequently was closed down. On his release from prison, Leeson got divorced and survived a battle with cancer. He wrote a book on his endeavours on the trading floor and his time in prison, which was later turned into the film Rogue Trader, which starred Ewan McGregor. In 2005, Leeson was appointed Commercial manager for Gallways United F.C. and published his second book. The replica signed jacket is estimated to fetch between £200-300, a modest sum in comparison to figures Leeson was used to dealing with. Check out the full catalogue here.